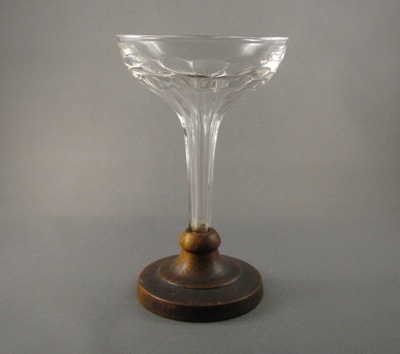 Simply shaped thick-walled goblet of hand blown glass, possibly made in Germany and used for drinking beer, measures 5-1/4″ high. 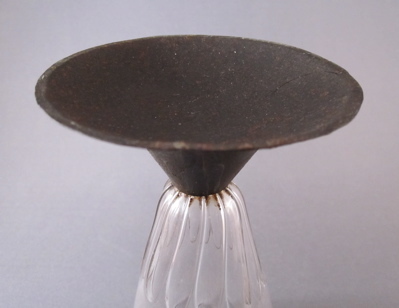 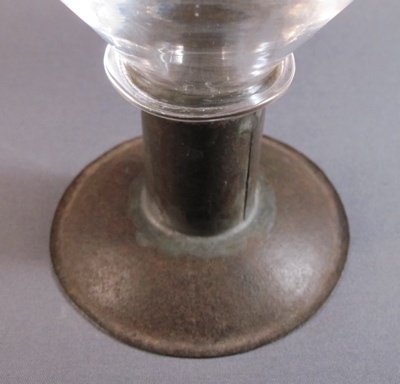 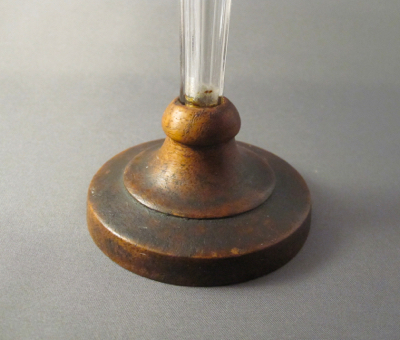 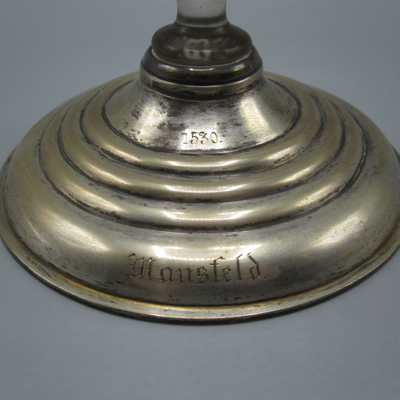 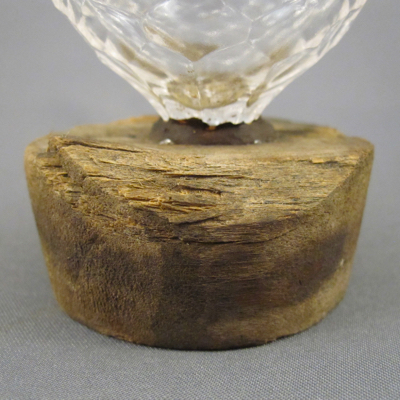 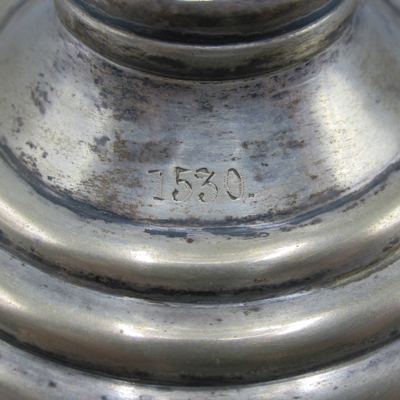 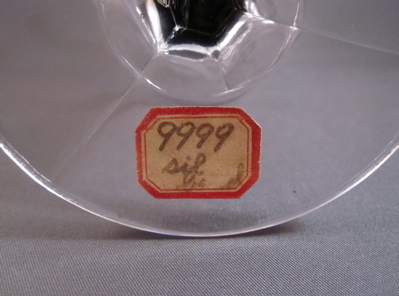 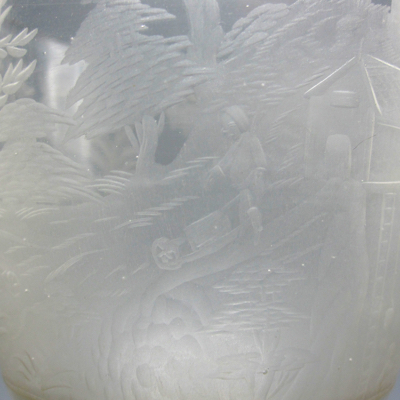 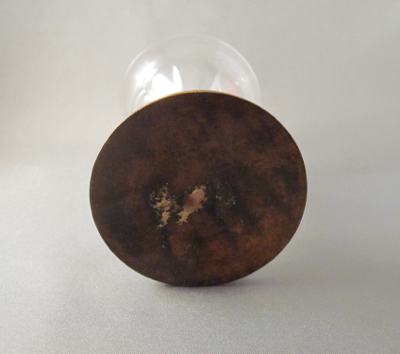 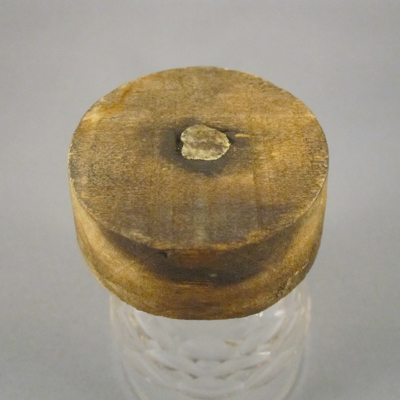 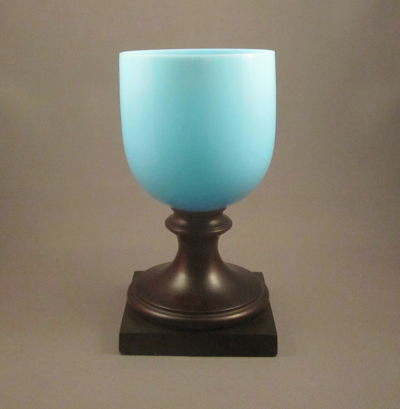 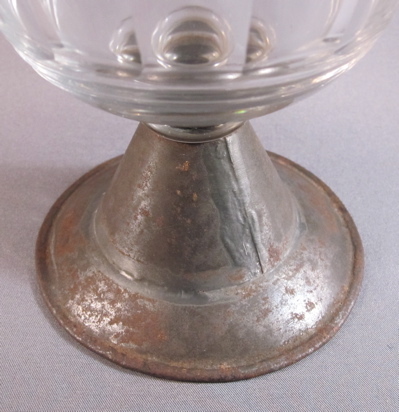 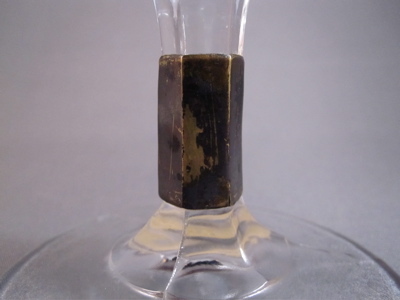 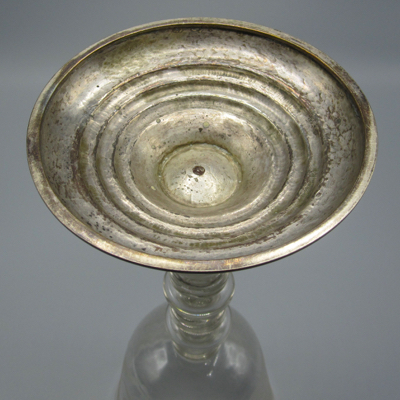 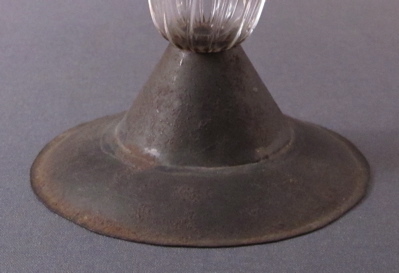 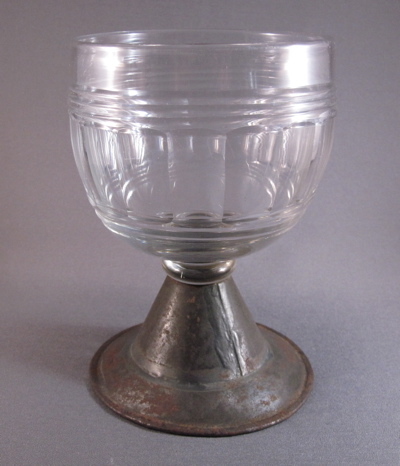 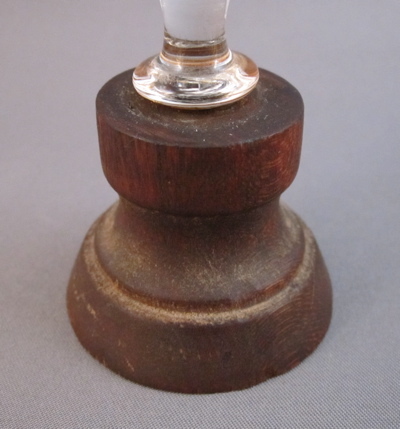 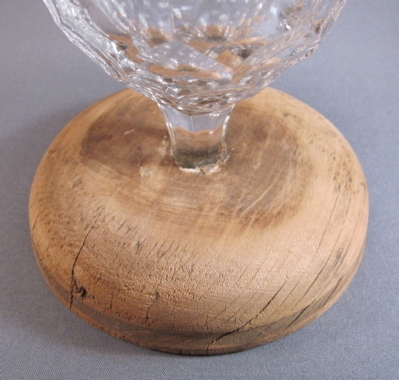 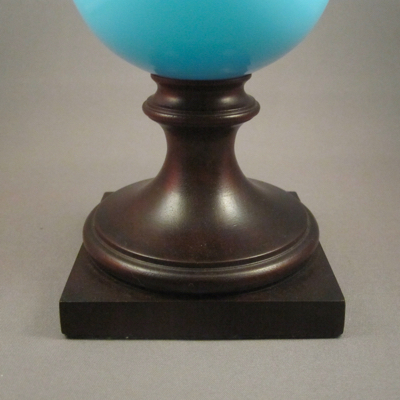 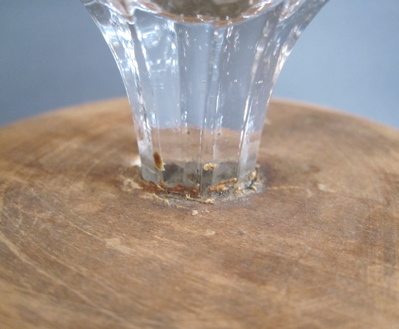 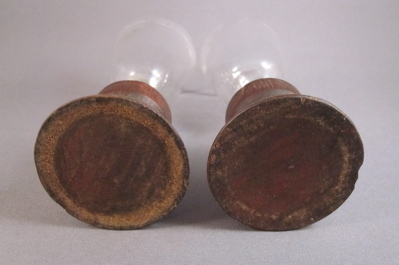 A well made unpainted round tin base replaces the broken glass base, created by a skilled tinsmith in the late 1800’s. 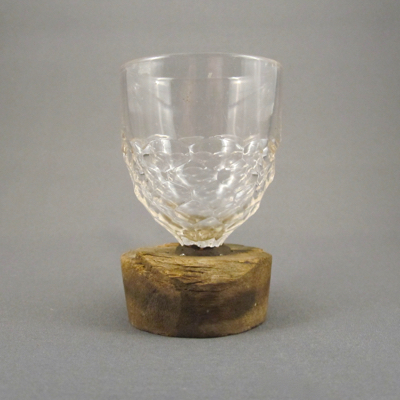 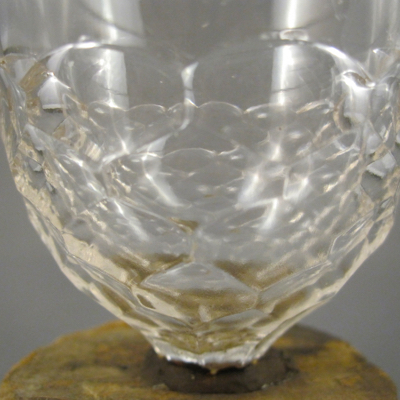 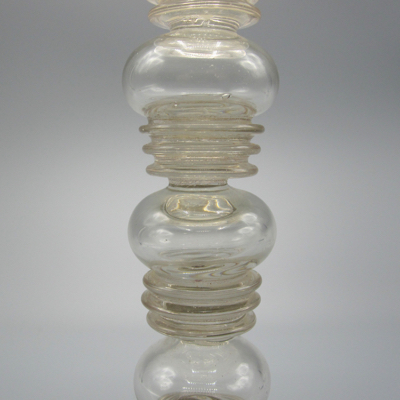 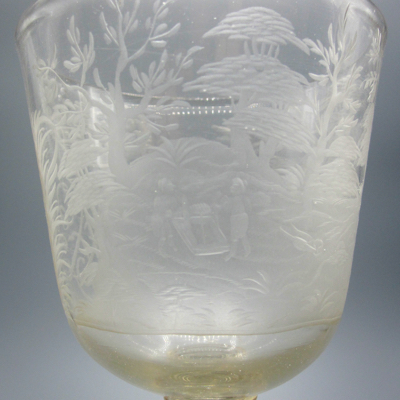 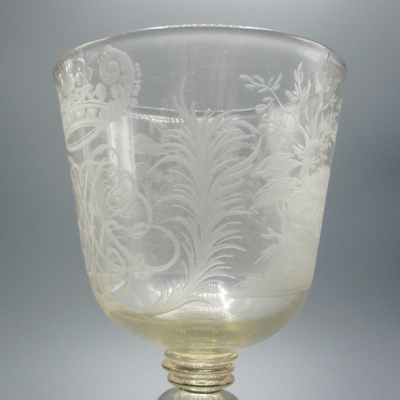 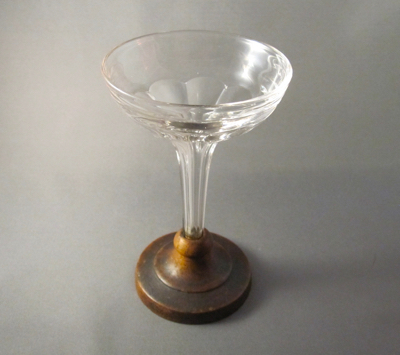 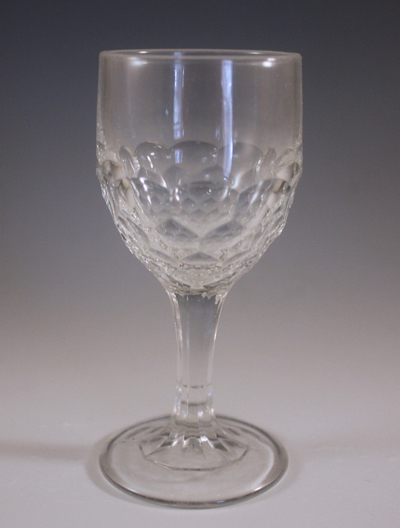 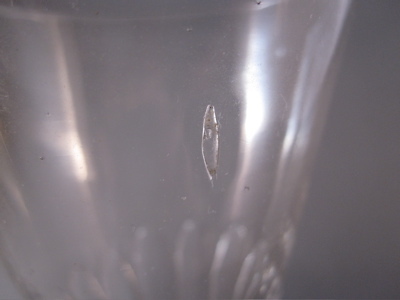 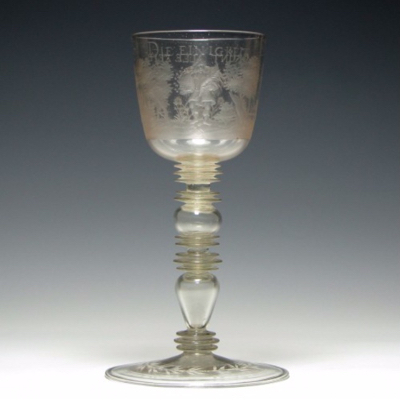 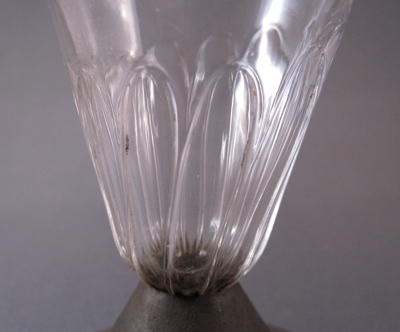 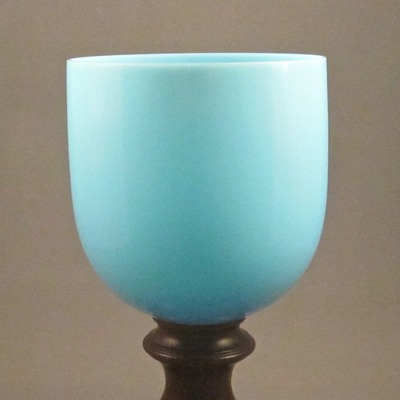 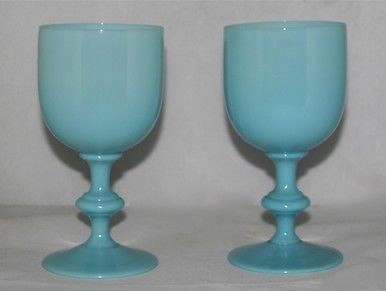 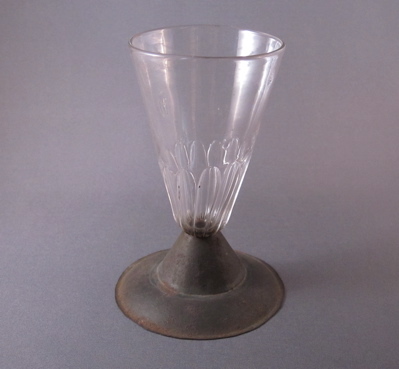 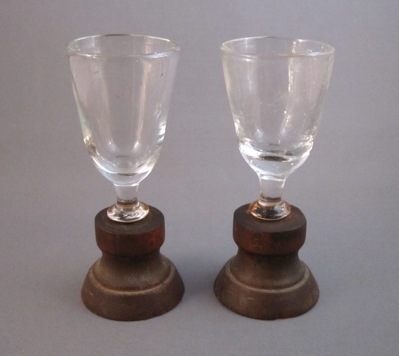 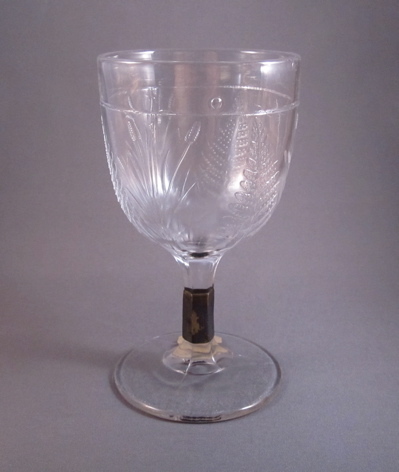 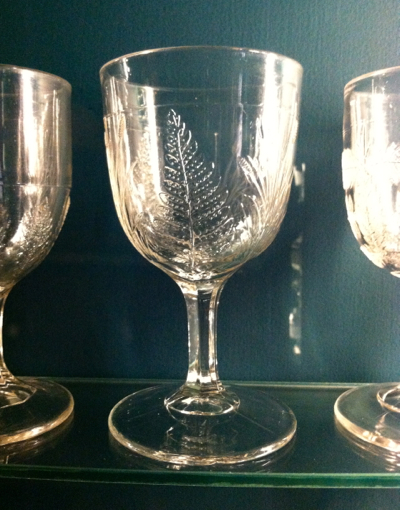 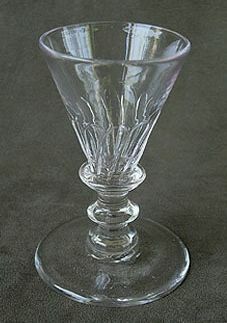 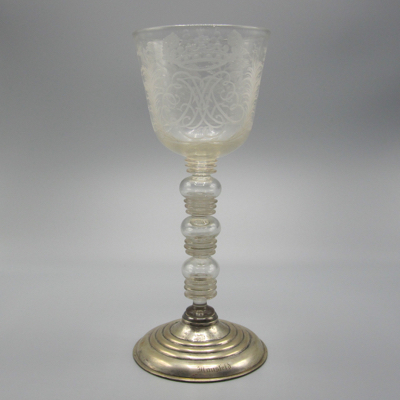 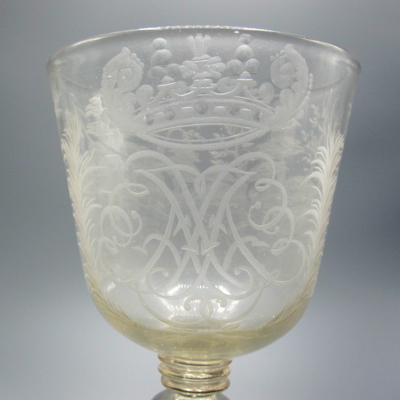 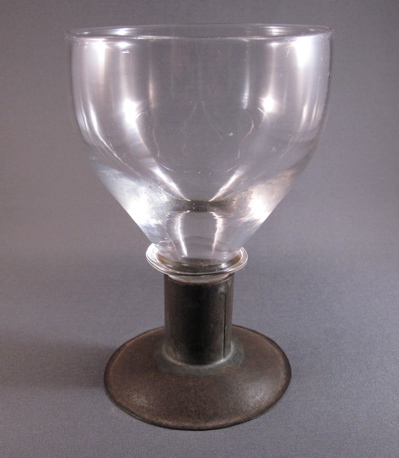 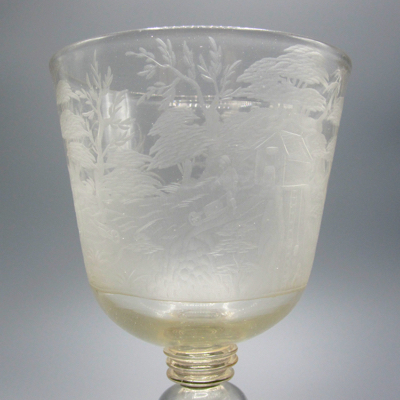 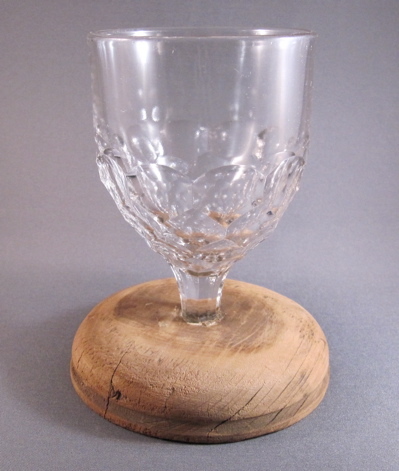 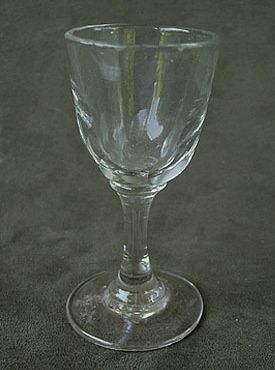 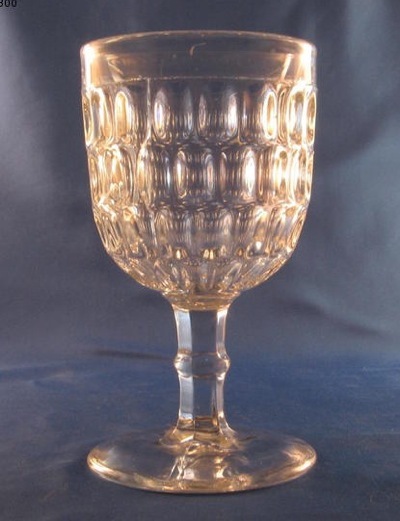 Similar shaped glass goblet show with a trumpet shaped stem.